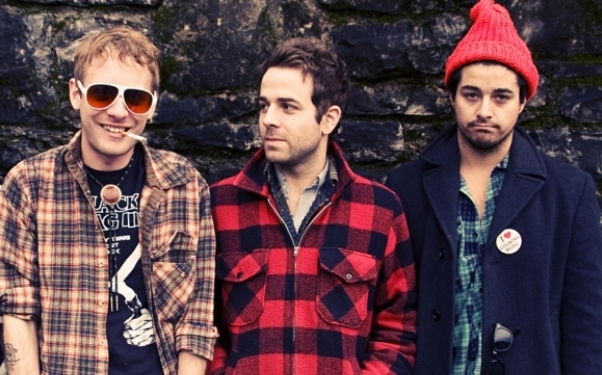 Earlier this week, Partisan Records made a huge announcement; Taylor Goldsmith of Dawes, John McCauley of Deer Tick, and Matthew Vasquez of Delta Spirit have joined forces to create Middle Brother. Since the trio played their tiny, late-night, unannounced event at CMJ under the moniker “MG&V,” there have been whispers that a side project wasn’t far off. But, little did we know that the guys had already wrapped their debut record, which is set for a March 1st, 2011 release date. Middle Brother will be playing a one-off show December 20 at the Troubadour in Los Angeles to benefit Invisible Children. That show will also feature an acoustic McCauley set. This entry was posted in CMJ 2010, Indie, New Releases, News, Video and tagged dawes, deer tick, Delta Spirit, Invisible Children, los angeles, MG&V, Middle Brother, partisan records. Bookmark the permalink.